Global travel ecommerce company, Booking.com, has shortlisted ten sustainable tourism startups to join its 2018 Booking Booster Programme. These include two Indian startups – Global Himalayan Expedition and Sakha Consulting Wings. 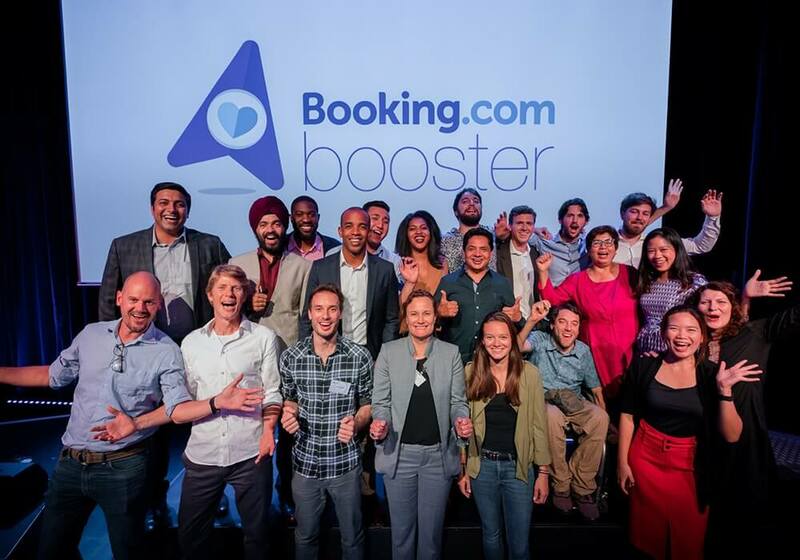 The 2018 Booking Booster Programme offers grants upto $ 616.82K from Booking.com’s $2.46 Mn fund. The second phase of this accelerator programme aims to identify, mentor and fund enterprising startups from around the world that are seeking to create a positive impact on the global tourism industry. Global Himalayan Expedition (GHE) organises impact expeditions to provide clean energy and digital education access to the remote mountain communities of the Himalayas, helping to put them on the map for future travellers to explore. Sakha Consulting is a social enterprise, launched to provide safe transport solutions to women by women in some select cities in India, providing livelihoods with dignity in professional driving to resource-poor women as part of the “Women on Wheels” (WOW) initiative. The Booking Booster Programme will be organised in Amsterdam in May 2018. Establish in 1996 in Amsterdam, Booking.com works to empower people to experience the world and invests in digital technology that helps take the friction out of travel. The company connects travellers with varied options for the stay including apartments, vacation homes, 5-star luxury resorts, tree houses, etc. In a media statement, company claimed to have over 1.6 Mn properties and cover more than 128K destinations in 228 countries and territories worldwide. The company also provides 24/7 for assistance and support in 43 languages through customer experience team. Several global companies have been eyeing the potential of Indian startup ecosystem and introducing various programmes to associate with the Indian startups. Recently, global aerospace and security giant Lockheed Martin announced that it will open applications for its annual India innovation growth programme (IIGP) to seek innovative ideas of Indian startups and university students. Also, Techstars announced that it will launch a new startup accelerator programme in India next month. The programme aims to focus on hardware and software technology sectors and will support 10 early stage startups. Earlier, Amazon opened applications for its annual Amazon Alexa Accelerator 2018 to seek out 13 promising startups which use voice technology. The programme is looking for startups to explore Alexa innovation in segments such as smart home, entertainment, finance, enterprise, communications, automobile and transportation, health and wellness, connected learning, connected devices, hardware components and other enabling technologies. Furthermore, Axilor Ventures has invited applications for the seventh cohort of its startup accelerator programme starting in March 2018. The 100-day programme will focus on startups working in consumer, deeptech, enterprise, fintech and healthtech segments. As various accelerators explore multiple domains of startups in India, the Indian tourism industry has found their right representatives to bag the grants from the Booking Booster Programme 2018 organised by Booking.com.